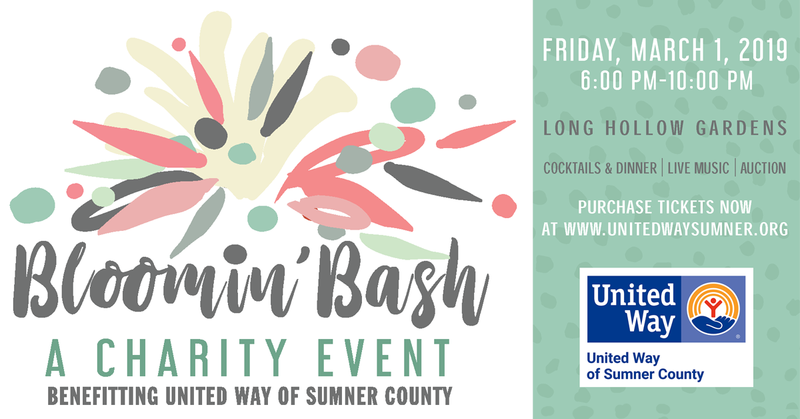 The 2019 Bloomin' Bash Gala to benefit United Way of Sumner County will feature a charity auction to raise funds to support programs that met more than 46,000 needs over the past year. The auction will feature a variety of unique and desireable items and experiences donated from across the community. We will post photos and information about our incredible selection of auction items as they come in, so check back often as we get closer to the big night and take a look at some of the unique things you can bid on when you attend this incredible night of fun and fundraising! For the Bloomin' Bash auction to be a success, we need your help to secure donated items that will generate a desire for participants to bid high and bid often. For more information about donating auction items, please contact us at (615) 461-8371 today! If you have something you want to donate for our auction, please download the Auction Donation Form, fill it out, submit to toni@unitedwaysumner.org, and let us know about your items.